In early September, after reaching out to Cardboard Keep, I was given the opportunity to contribute to their new exciting game called Warden, which as we speak is undergoing Steam Greenlight. One of the key criteria for these assets were the diffuse only texture map limitation, which was an interesting challenge. 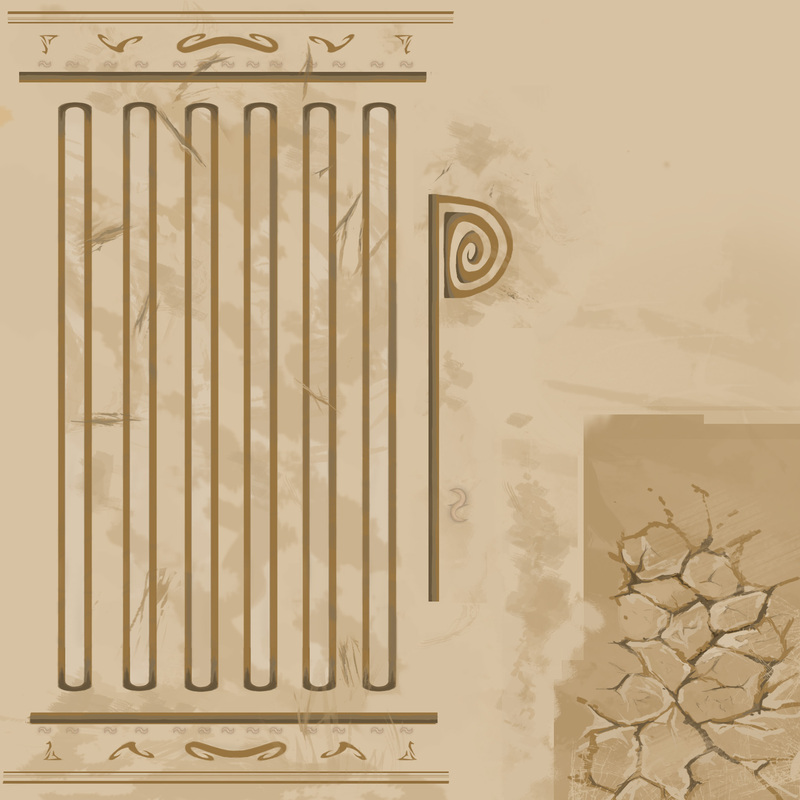 In addition the style of these assets had to fit well into the game’s existing style and storyline. I must say this game has brims with potential and the art style is very charming, hence my eagerness to chime in on this great game. 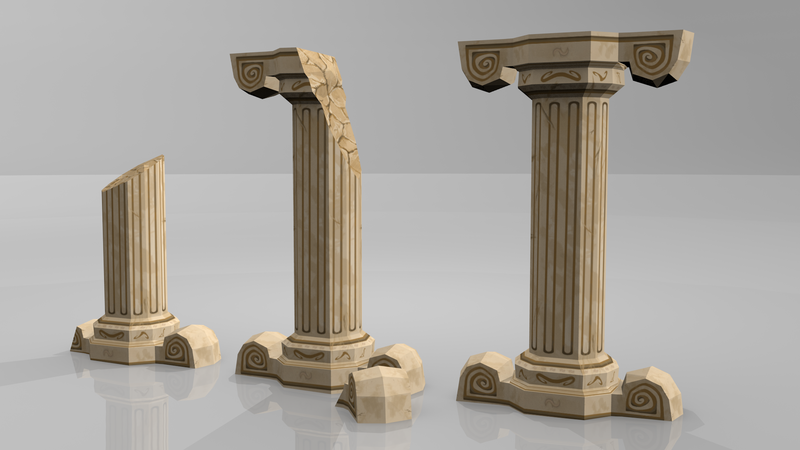 My first asset was Meretian Pillars, which is based off a Roman culture. Obviously poly count was minimised for the Unity Engine. 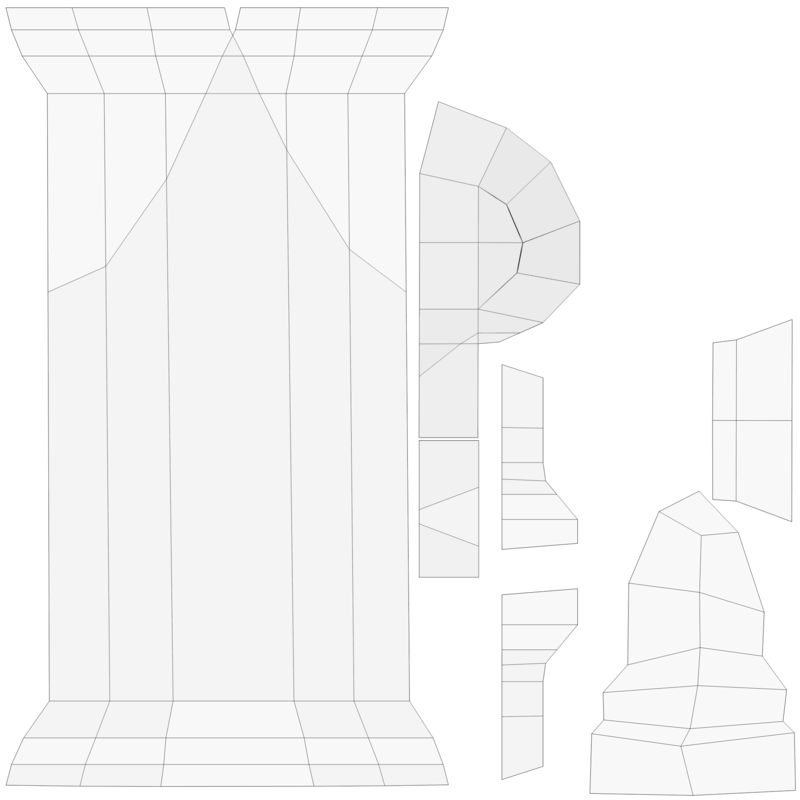 I tried to make use of my photoshop texturing skills, as well as Blender’s deconstruction tools that allowed me to destroy parts of a mesh yet retain its original UV mapping coordinates. This enabled me to create 3 models of varying decayed states efficiently. For this model, I’m testing out the use of Verold to showcase my assets, which should let viewers navigate in a 3D manner around my textured and lit assets. 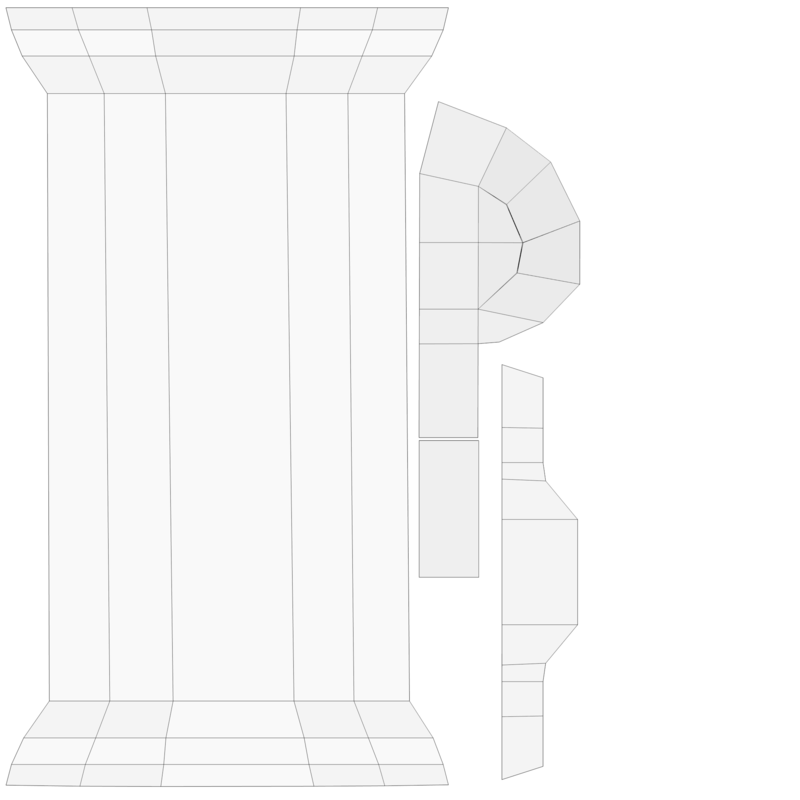 Unfortunately as great as WordPress looks, it currently doesn’t support embedded Verold viewer, so you will have to click on this link: Drag around with left click, and press 1-8 for various shaders like wire frame, UV mapping etc. Posted in Blender, Modelling, TexturingTagged Assets, Cardboard, Game, Keep, Meretian, PillarsBookmark the permalink.